Goodbye, House. Hello, Home! 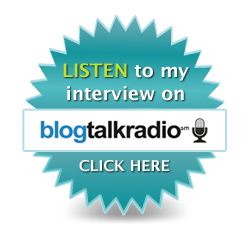 Blog : I'm Being Interviewed About Clutter on Blog Talk Radio!! 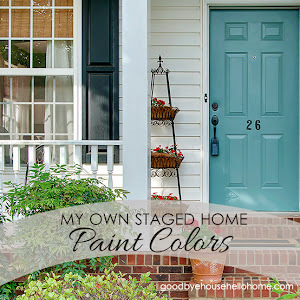 I just found your blog and I love all your ideas and staging. My youngest will be going to school soon I keep thinking about staging houses or something. It feels kind of overwhelming to get started but I am reading your tips. 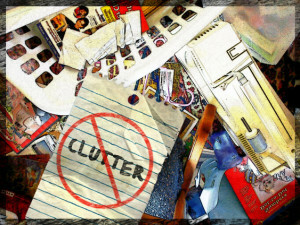 I guess it is wise to start small and see how just suggesting to clients what things would make a difference like moving stuff, decluttering and painting then go from there if they want me to do some of the work.. I'm very impressed by your business and it is a great reference for me to look at even if I use it to sell my house someday. What I really wanted to write to you is that I felt so drawn to your blog by your loving and christ like heart. You are a very kind person and I felt Christ's love as I read many of your posts. I just read your Grace after Choice post. It is so heartbreaking but so sincere that you were willing to put it out there to help others. It takes a lot of humility and help from Jesus to be so vulnerable. I pray that it helps many woman and God bless you with your transparency..So many people live a fake perfect life on blogs that it is refreshing to read about a real woman that has gone through something really hard. So thank you for that. May God continue to bless you!! Best of fortune, Leslie! I'm sure you'll give most people great tips! Keep us published. Hi! I just found your blog through Ange at the Blooming Hydrangea. 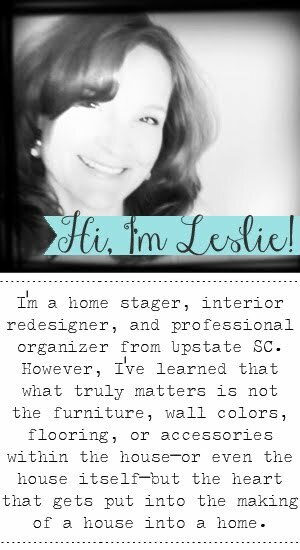 I too am a Greenville blogger!!! She told me where you were from and I just had to click over. I love meeting other creatives in the area! I saw too (and she told me) that you also are a believer. I love connecting with other creative believers who love sharing their heart! Hi Leslie! 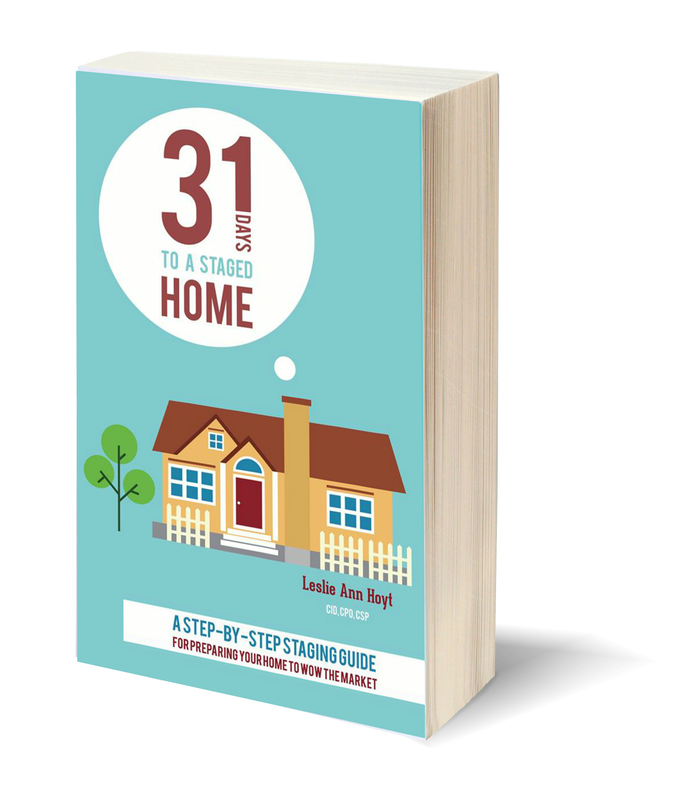 I was wondering when you will be releasing your "31 Days to Sold" book. I read your posts back in October, and we just sold our house in less than 24 hours. I have a friend who will be putting her house on the market soon, and I would love for her to able to read your series. Thanks! Your content had written a excellent, I and siblings are very like your terms, can supplement each other! Wish you keep perform hard!